This guide is designed to assist students enrolled in Business courses with locating Library resources for their research assignments. The guide is organized into steps that cover the basic research process: identifying a topic, locating relevant sources, and citing sources used to write the paper. For general research assistance other than Business, view the links listed under Research Tools. The following sources are recommended as starting points for information on Business and Small Business planning. Links to additional resources including Local, County and State can be found below under the Web Resources section. SBDCNet is the official National Information Clearinghouse of the U.S. Small Business Administration. Includes Small Business Snapshots which provide market research reports covering industry trends, market statistics, customer demographics, recent business articles, and links to industry trade associations. Links to various economic statistics and data. Special Topics links are listed on the left hand side of the page. Books and other Library materials can be searched using the Online Catalog. 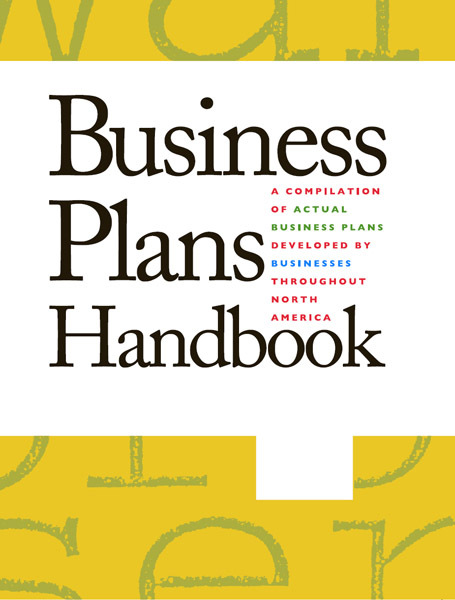 Books for Business are categorized under sections H-HF of the Library's collection. There are two categories of books in the Library: general and reference. General books can be checked out and are often used for more in-depth research. Reference books do not circulate but can be useful for acquiring an overview on a topic. Reference books are located on the upper floor of the Library and circulating books are in the "Stacks" on the lower floor. Covering events such as banking crises, economic bubbles, natural disasters, trade embargoes, and depressions, this single-volume encyclopedia of major U.S. financial downturns provides readers with an event-driven understanding of the evolution of the American economy. The latest information on the most important social issues in America today is the hallmark of this well-established series for high school students. The Information Plus® Reference Series gives readers a clear and comprehensive summary of the most up-to-date research, legislation, and more on each subject-all of which are vividly illustrated by numerous tables, charts, and graphs. Ideal for class assignments, reports, and research projects, the series has a distinct, easy-to-understand style that students will appreciate. The Information Plus® Reference Series provides: Up-to-date statistical information on the volume's subject that gives students the most current data available-all from one source, Discussions of hundreds of topics and subtopics, providing valuable explanations of statistics, Tables, charts, and graphs, vividly illustrating facts and figures, Resources section and directory of important organizations in each volume-including key e-mail addresses and Web site URLs-that offer the best avenues for continued research Book jacket. Featuring more than 800 entries, the two-volume Encyclopedia of American Business, Revised Edition is an up-to-date, easy-to-use guide to the nuts and bolts of business jargon. Difficult ideas are explained in straightforward language to help non-specialists, students, and general readers understand the complex and sometimes confusing concepts and terms that are used in business. This book provides detailed, comprehensive information on a wide range of industries in every realm of American business. It covers manufacturing, agriculture, mining, utilities, construction, wholesale, retail, transportation, information, finance, insurance, real estate, public administration, and service industries. Classified by the North American Industry Classification System (NAICS), this edition includes an essay for every one of the 1,057 2017 NAICS codes. Designed for the nonspecialist, the Encyclopedia of Business and Finance is a 2-vol. complete reference covering five general areas: finance and banking; accounting; marketing; management; and information systems. This edition features: Comprehensive overviews of 120 career fields and industries. The latest information on job duties, salaries, and employment trends for more than 820 professions. Sidebars providing additional reading on industry issues and history, useful Web sites, industry jargon, and much more. This comprehensive handbook profiles 231 nations and self-governing territories around the world in an easy-to-access, single-volume format. The Occupational Outlook Handbook (OOH) is the premier, nationally recognized source for career information. It includes information on the fastest-growing occupations, number of new jobs, and a summary of the highest-paying occupations. 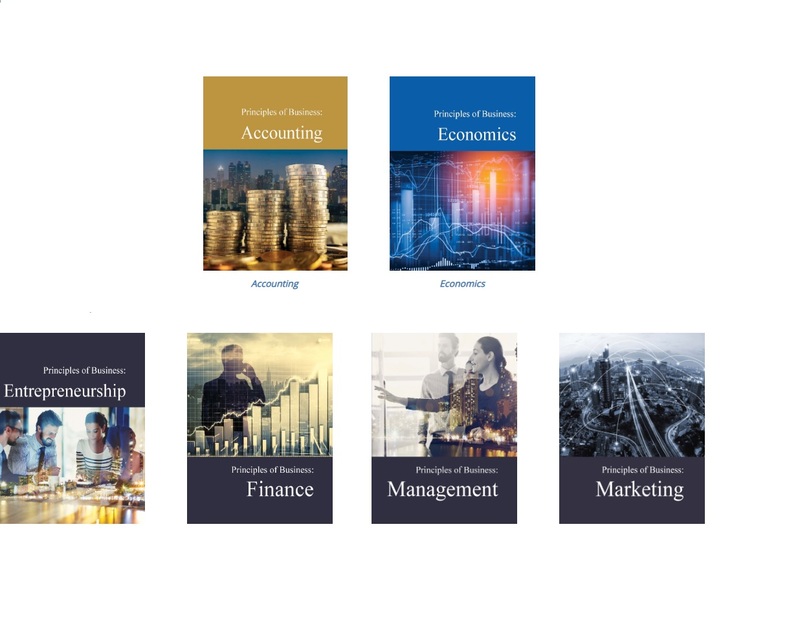 The Principles of Business Series, by Salem Press, offers students business insight on a variety of topics ranging from finance, to management, marketing, entrepreneurship, accounting and economics. Use the “Business” topic module in Nexis Uni to find complete public and private company profile “packages” that include news articles, competitors, company hierarchy, financials, ratio analysis, intellectual property and other legal information, and investment research reports (private company profiles will typically not include financial data or investment analyst reports). There are of course countless Web sites related to Business. Some recommended links are listed below. Additional recommended links listed under "Internet Resources" > Social Sciences, and Business on the Library's website may also be useful. A commercial site that provides the annual reports of various companies. Brief company descriptions are included. A private, nonpartisan research organization that focuses on governmental studies, political reforms, foreign policy, and general social sciences. BEA prepares national, regional, industry, and international accounts that present essential information on such key issues as economic growth, regional economic development, interindustry relationships, and the Nation's position in the world economy. BusinessUSA, is a centralized, one-stop platform to make it easier than ever for businesses to access services to help them grow and hire. The Consumer Expenditure Survey (CE) program consists of two surveys, the Quarterly Interview Survey and the Diary Survey, that provide information on the buying habits of America's consumers, including data on their expenditures, income, and consumer unit (families and single consumers) characteristics. The survey data are collected for the Bureau of Labor Statistics by the U.S. Census Bureau. The SEC’s EDGAR (Electronic Data Gathering, Analysis and Retrieval) database provides free public access to corporate information. The system allows you to research a company’s activities, registration statements, prospectuses, and periodic reports, which include financial statements. EDGAR also provides access to correspondence about corporate filings reviewed by the SEC staff since August 1, 2004. A list of Industry Trade Groups in the United States. Clicking on the individual groups provides additional information, including description and Trade Group Website. Provides a table with detailed information on the structure of NAICS. Also included, on this page, are downloadable, Excel and text, concordance files for 2017, 2012, 2007 and 2002 as well as a keyword search. The Standard Industrial Classification Codes that indicate the company's type of business. Provides links for Demographics, Business Licenses and forms. Provides information for Industrial, Commercial and Small Business interests. Economic Development Division focuses on fostering private and public sector investment within the City’s economic development target areas and throughout the community as a whole. Links to Demographics and City Records are listed. The Barstow Area Center for Entrepreneurs is more than just a business, it’s an educational enhancement campus and business retail center. It is designed to be a vibrant ecosystem for all individuals (private and business) owners, students, job seekers and supporters, to help facilitate success for anyone who comes to the campus and is engaged in measurable success enhancement developmental activities. Quick link to business licenses. Quick link to City of Hesperia demographic information. What we do is driven by our mission: to help your business thrive! We're building a thriving business community through Education, Leadership, Promotion and Networking Opportunities. The Bradco High Desert Report is a High Desert's an economic overview of the region. It offers quarterly updates of news and information about the local and regional economy, real estate market trends, forecasts, issues, and legislation affecting the future of real estate development. Quick link to City of Victorville demographic information. As the Chamber of Choice we will serve businesses both traditional and non-traditional in new and innovative ways. Through creative partnerships, we will provide new opportunities for our diverse membership. The Development Department is responsible for all aspects of private development, including land use and building standards, new construction permitting, business license, and code enforcement. The Inland Empire SBDC stimulates economic growth in the Inland Empire by providing small businesses and entrepreneurs with expert consulting, effective training and access to resources. Information on searching and filing Fictitious Business Names. The Business Programs Division, the largest division of the Secretary of State's office, supports California Businesses by registering and authenticating business entities and trademarks and enabling secured creditors to protect their financial interests. The Business Programs Division processes millions of business filings and information requests each year. This site collects, analyzes, and publishes statistical data and reports on California's labor force, industries, occupations, employment projections, wages and other important labor market and economic data. Tax information and forms for businesses. The Library maintains a collection of instructor reserve materials. These consist of textbooks, videos, and supplemental course materials that instructors have put in the Library for student use. To find what materials are available for Business, search Course Reserves in the Online Catalog. It is best to search by "Course Number" (ex. BADM 101) in that an instructor other than yours may have placed an item on reserve. Materials can be requested at the Periodicals counter and generally must be used in the Library on a two-hour loan period. Photocopy machines are available for 10¢ a copy.